The Crew had an impressive plan, map out the USA and let you drive across it in a free roaming driving adventure with a story about revenge and street racing. Ubisoft’s sequel tears up the plan and redraws it, bigger, better and even throwing in planes and boats. This time it’s not hanging off some convoluted Fast and Furious style story but simplifies your progress by focusing on your character’s path to glory through racing events via a TV show style presentation. This means that new racing styles and vehicle opportunities are constantly thrown at you from the start, allowing you to choose between focusing on one style at a time or going all out to try every mode of transport first. Starting in a car, even the driving feels more refined, with a map that is initially sparsely dotted with races in a few locations but soon grows as you win races, unlock new types of event and new disciplines. Once boats and planes are unlocked, you can flip between your chosen favourites with a two button combination that allows you to almost instantly transform at any point. This is a real game-changer. The ability to fly off a ramp in a car, transform into a plane then land in the sea as a boat never gets old. It’s a bit like the ideas Spy Hunter came up with in the 80s but finally fully realised. As the game takes place across a scaled down USA, you’d expect that the terrain would change in different states and it does, along with the feel of racing on different tracks. Driving from one state to another is a trick that the sequel does far better than the original but, ironically, also seems like a less desirable option when you can just choose an icon from the map and dive straight into your next race. It can be a little overwhelming at times and with the lack of a proper story you can get lost in the vast progression tree without the feeling of moving on during the middle of the game. It all comes back together as you unlock all events, but it’s the only time I missed the original’s admittedly forced tale of underground racing. In a bid to grab the Forza crowd, all the vehicles are fully customisable with decals and colour schemes, though there’s an unfortunate credit cost to these that gets in the way of artistic style in the early days. It’s an impressive system, though, that can result in some great looking individual styles and, as you’d expect, there’s the ability to grab designs created by others in the community, though nothing as good as the Forza marketplace. 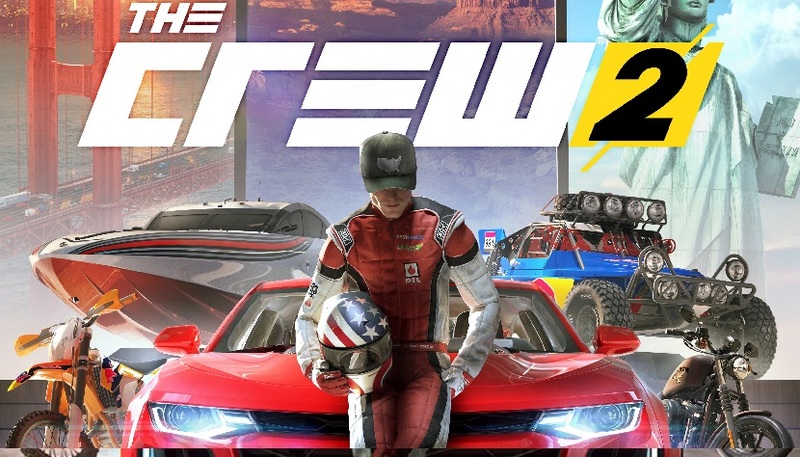 So with a whole country to play around in, a huge number of vehicles of all types and disciplines and that great switching between plane, boat and car, The Crew 2 pretty much re-writes the DNA of the original with great results. Only a slightly uneven presentation and the feeling of being lost among the racing in the mid game mar the overall experience.